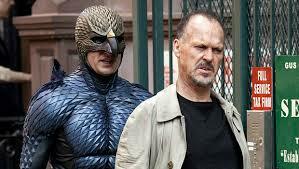 A Film Look » Flight of the Birdman – Redux. Flight of the Birdman – Redux. BIRDMAN, no doubt, is one of the best films of the year. It has originality, drama, effects, comedy… and some very good acting as well as excellent cinematography. Upon seeing it a second time, nuances surface and anticipated humor or drama is heightened. Yet… as in the first time, an aftertaste remains at the end which makes this film not soar all the way up to its full potential heights. It’s that last scene… it always makes me like the movie less.